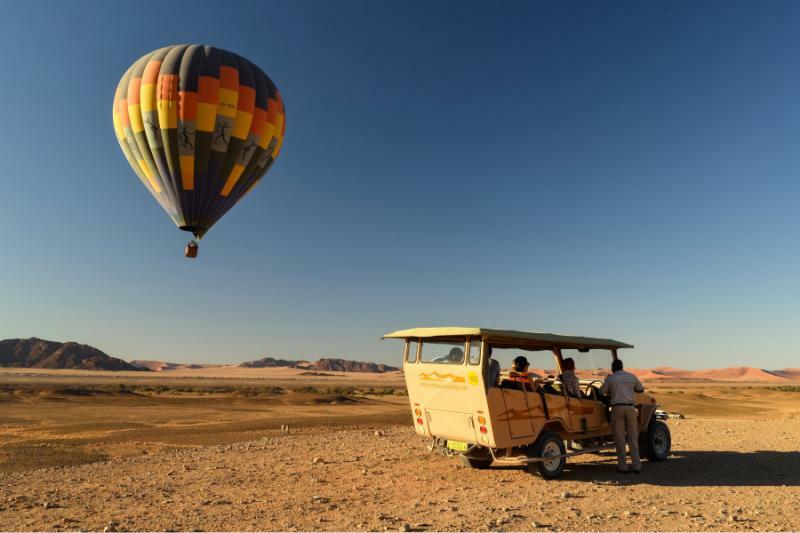 Enjoy an eight-day walking safari into the heart of Namibia’s beautiful Namib Desert and encounter rare desert wildlife, on safari with skilled elephant and rhino trackers. On this trip, experience the raw-beauty of Palmwag and Hoanib River in Namibia’s Kaokoland region. Your adventure safari supports the important work of Namibia’s Save the Rhino Trust. For more than 20 years, the Save the Rhino Trust (SRT) has worked tirelessly to protect the last free-ranging rhino population on Earth: the rare desert-adapted black rhino. In the remote, rugged Palmwag Concession of northern Namibia, teams of local trackers use camel trains to help with the research and monitoring of this animal. On this original and exciting walking safari, guests join the “ships of the desert” on a great walking safari adventure: an eight-day walk (little time is spent actually on the camels) deep into the heart of the Namib Desert, the oldest desert in the world, where a camel train and a team of Save the Rhino trackers take us in search of this rare and endangered species. Free of vehicles, we have access to some of the most remote and beautiful wilderness regions of Namibia. The revenues generated by your Namibian walking safari are directly channelled into the critically important conservation of Namibia’s rhino population. Delicious meals are enjoyed around lively campfires, with hurricane lanterns and a warm atmosphere permeating the simple, yet stylish mobile camps en route. 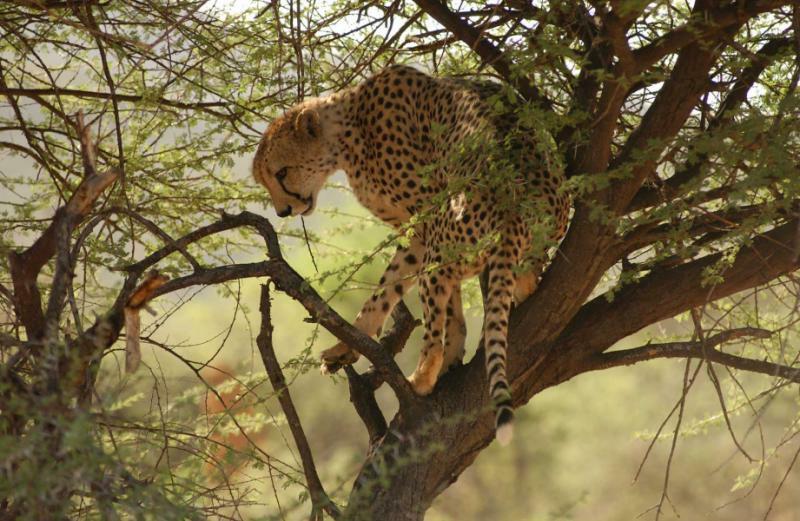 The entire safari is guided and hosted by a professional and passionate wilderness guide, who shares in-depth knowledge with the walking safari guests. An experienced Save the Rhino Trust tracker team accompanies the walking safari, providing comprehensive interaction and valuable experience as custodian of these magnificent animals. 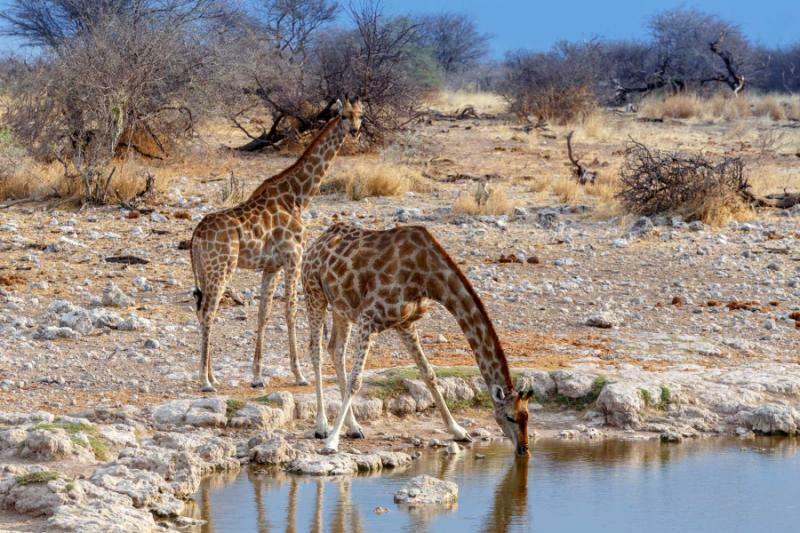 The 450 000-hectare Palmwag Concession in north-west Namibia is a private reserve and exclusivity in this pristine and unspoiled wilderness area is unrivalled. 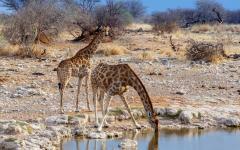 Namibia is a conservation and eco-tourism success story. Following a period of heavy poaching in the 1980s, the establishment of a range of privately and community-managed wildlife conservancies has resulted in the successful conservation of the rare desert rhino and of a wide range of other species. 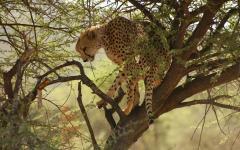 These conservancies are funded almost entirely from the revenues generated by ecotourism. Your visit is truly making a huge difference to the future of these special wild places. The sustainable economy which sensitively managed ecotourism provides in these regions creates local jobs and places a value on pristine habitats and wildlife which visitors come to experience. The Palmwag Concession in Namibia’s Kaokoland is a wild and truly awesome region, where you will see the rare desert rhino and elephant in their natural habitat. Our local guiding partners in Namibia have been instrumental in establishing tourism experiences which supports the work of the Save the Rhino Trust and we are privileged to offer our guests the opportunity to track these wonderful animals on foot through the wild deserts in the company of skilled researchers. 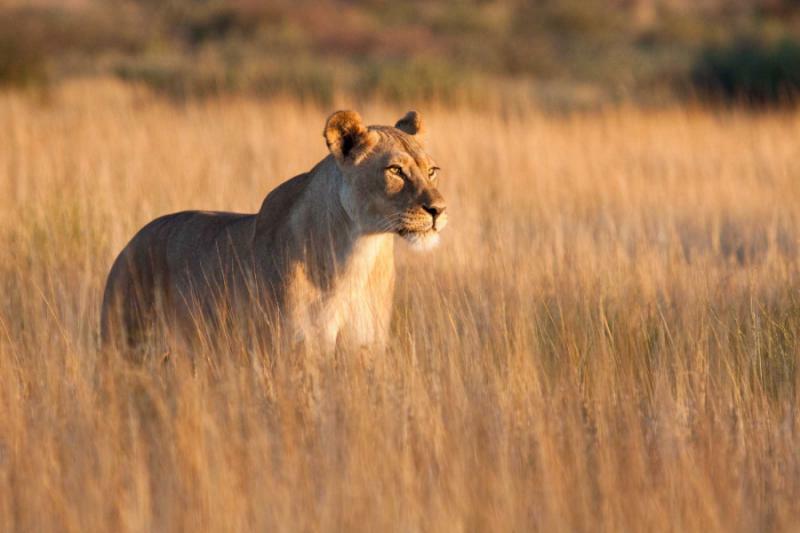 A number of international nature conservation organisations are working to develop ecotourism and conservation networks in the region and Neil Birnie, a founding director of Wilderness Journeys has recently returned from Namibia, where he provided a report to the World Wildlife Fund outlining the potential for greater support from the tourism industry for nature conservation in Namibia. We hope that you will join us and thereby contribute to our “conservation through ecotourism” vision and ensure the preservation of this incredible land for future generations. 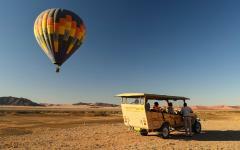 After traversing the Namib Desert you will be based in Palmwag Concession, a private reserve in north-west Namibia. 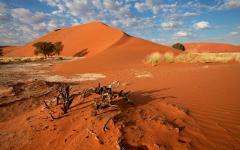 Journey north to the remote and beautiful Palmwag region in Nambia’s Kaokoland region. Surrounded by palm trees, the lodge is a true oasis in the desert and elephants are regular visitors to the waterhole. After an early breakfast, we enjoy a wildlife drive to Mbakondja Camel Camp to meet the Save the Rhino Camel team. We ride or walk south to the Aub River, where our camp has been erected prior to our arrival. 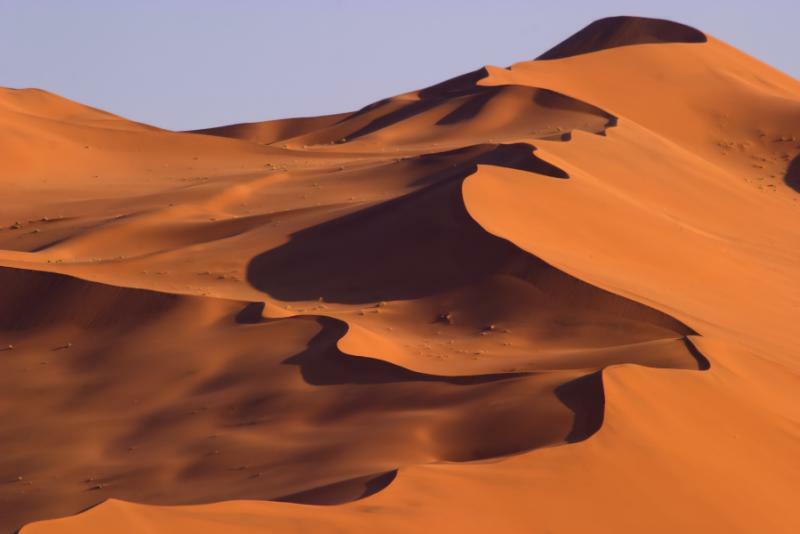 Our journey continues with a walk to the Barab River, concentrating on the tracking of the elusive desert giants through a series of hills, rocky landscapes and diverse geology. After even a little rain, the gravel plains are covered in long golden grasses that ripple in the wind. We journey west through the Okomutati Springs to Kudu Springs. 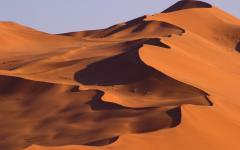 This area is almost inaccessible to vehicles, an area of pristine wilderness where the sense of remoteness is complete. En route we also have the opportunity to see extraordinary plant life including the ancient Welwitschia plants and numerous lichens. Heading northwards, we aim for the Hunkab Spring. Fresh drinking water in the desert forms the basis for seasonal animal movements and a surprisingly diverse range of animal life can be seen here. 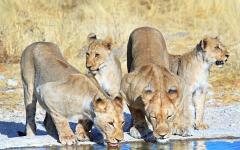 Animals from Hartmann’s mountain zebra to elephant and the endemic Ruppell’s korhaan come to slake their thirst. We bid farewell to the Save the Rhino Trust trackers and depart on wildlife drive from Hunkab, travelling through the concession to the ephemeral river of the Hoanib Valley. 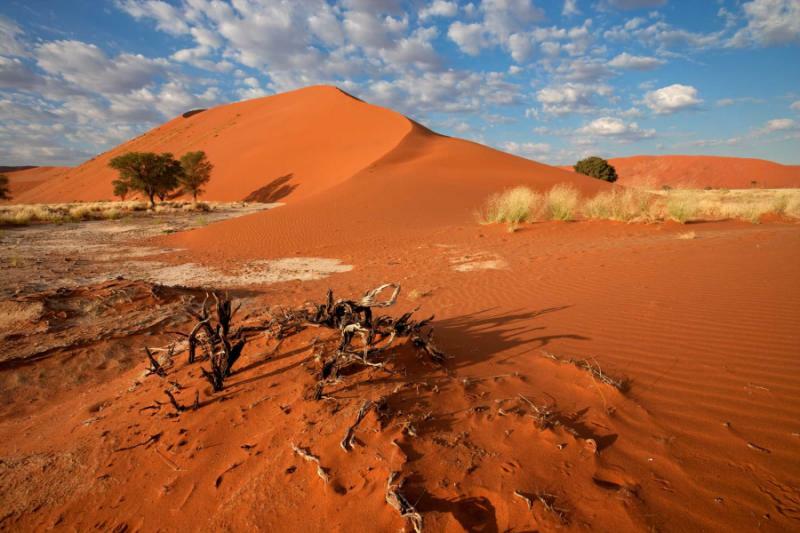 Here, in an area seemingly parched and desolate, we enter one of Namibia’s richest desert wildlife areas. 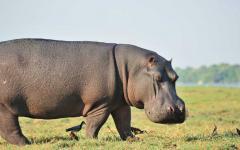 We stay at Hoanib Camp, and enjoy game walks, rhino tracking, game drives and night drives into the Hoanib River valley. 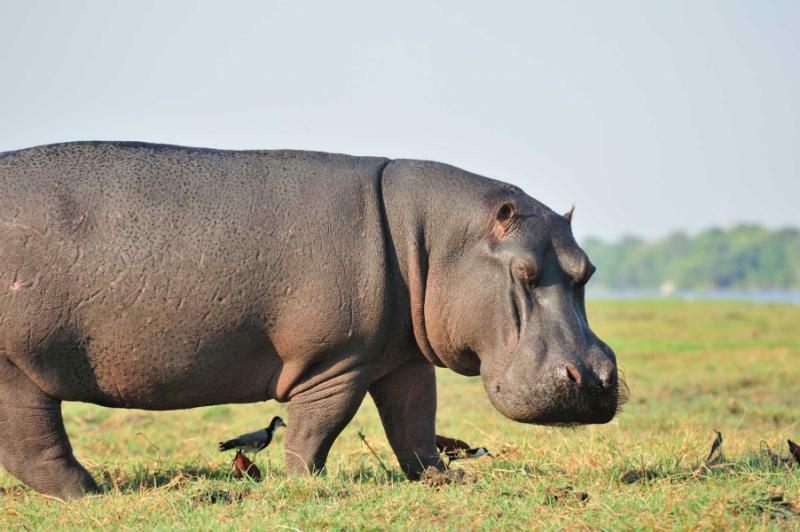 Our camp on the Hoanib River is a relaxed haven from which we explore this wild land on foot, or from the comfort of one of our safari vehicles. The camp is powered by solar-powered inverter systems and there are no generators or pumps running whilst guests are in camp. There are 5 walk-in hexagonal Meru-style tents with en-suite and flush toilet and bucket shower bathrooms in a separate portion of the tent. Each tent is furnished with necessary comforts and styled with burnt orange interiors, wood and brass, effectively recreating a sense of the early explorers of Africa. 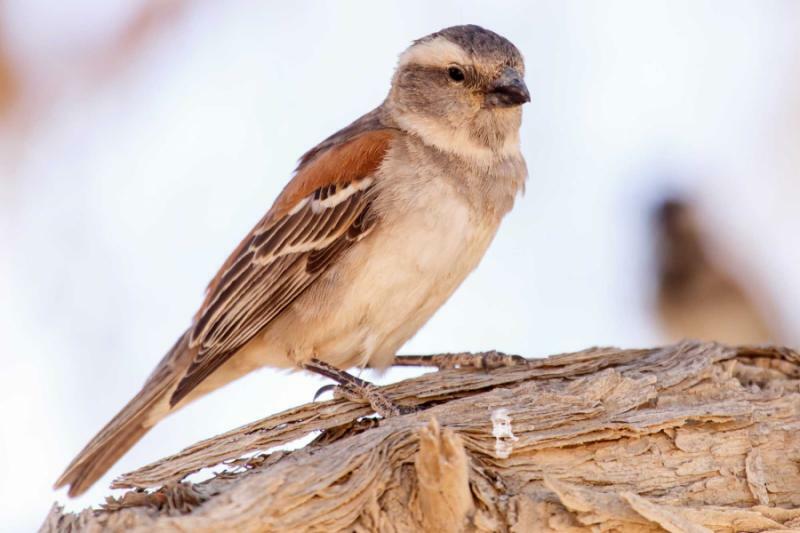 After an early breakfast and wildlife drive, we end our Namibian walking safari and fly back to Palmwag Lodge, in time for a lunch and final farewell to the adventure. 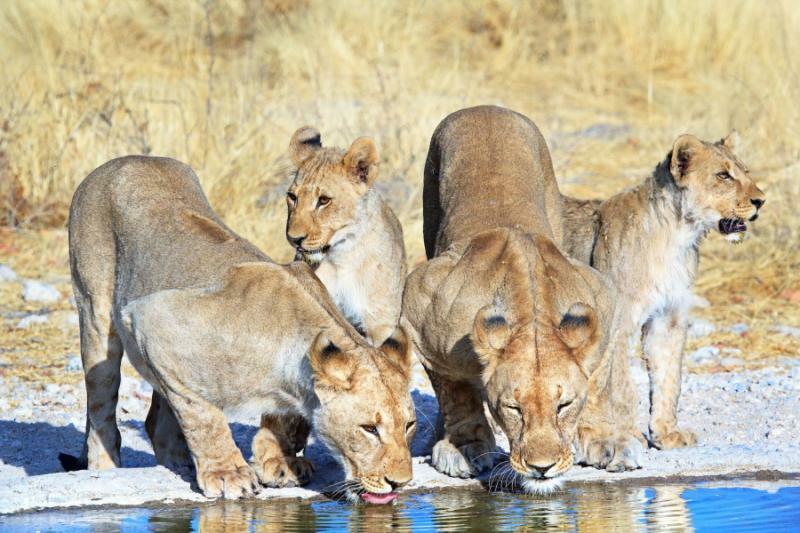 From here, we will be pleased to discuss various options to extend your adventure in Namibia, or to consider combining with Botswana or South Africa.